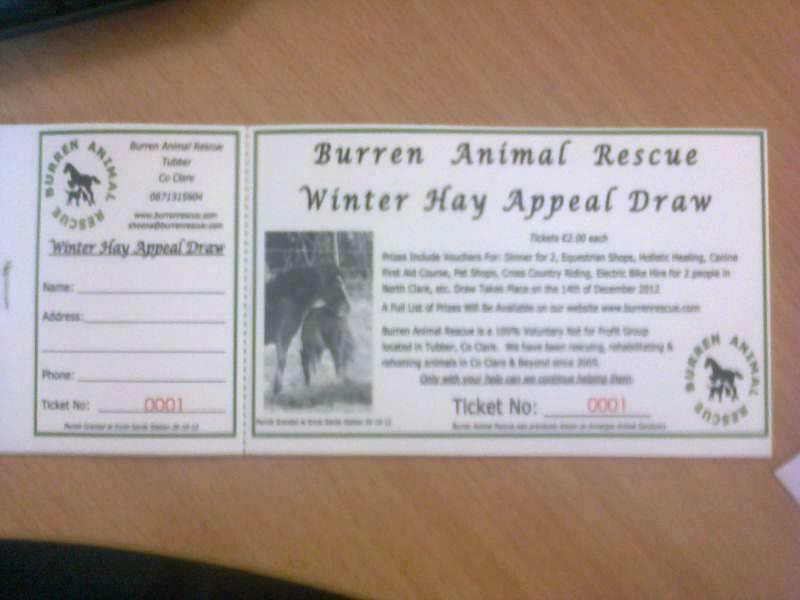 Prizes for this year’s draw include 10 bags of Baileys Horse Feed, vouchers for Equine & Pet Stores, a meal for two in Lahinch, Co Clare, a days electric bike hire for 2 in North Co Clare, Holistic Healing Vouchers, Cross Country Riding Session for 2, Canine First Aid Course, etc. Tickets are only €2.00 each and there are 10 tickets in each book. The draw will be taking place on the 14th of December 2012.